In 2013, The Unitarian Universalist Congregation of Oxford officially became a Welcoming Congregation! This means UUCO as a community has gone through a period of study and taken the necessary steps required and/or endorsed by the UUA to become intentionally more inclusive and welcoming of people who are lesbian, gay, bisexual, transgender, and/or community members with marginalized sexual orientations and gender identities. Some steps taken by this committee and the UUCO community include hosting congregational workshops and speakers, inter-congregation discussions and activities, various congregational educational opportunities, and efforts to make ALL UUCO facilities free of any stereotypical or marginalizing labels or restrictions (such as creating Gender-Free Restrooms). national origin, or socioeconomic status. For the complete Unitarian Universalist Congregation of Oxford BY-LAWS, click here. Does this mean our work is done? 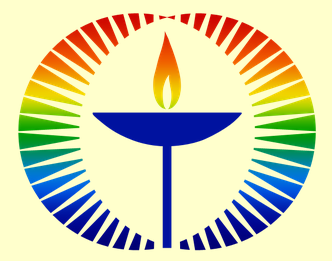 While UUCO is honored to receive the UUA Welcoming Congregation distinction, the UUCO congregation, its Board of Trustees, and its committees diligently strive to continue to maintain and foster the growth of a safe and peaceful environment for members of the GLBT community and community members with other marginalized sexual orientations and gender identities. And it doesn't stop there! The UUCO community also endeavors to make every effort to provide a safe and loving environment that fosters freedom of expression and personal inquiry for anyone, regardless of marginalized status, and strives to be inclusive, affirming, and welcoming in accordance with the Seven Principles of Unitarian Universalism, our Mission, our Covenant, our History, and our association with the greater Unitarian Universalist Association. For information about how you may get involved with the UUCO Welcoming Congregation, click here.